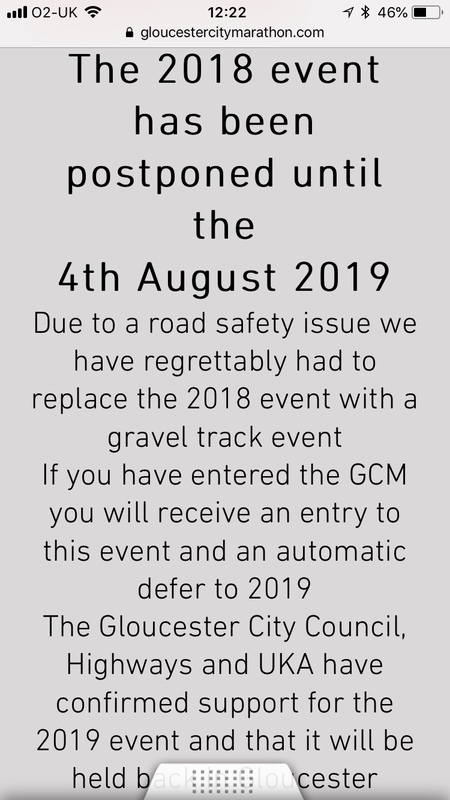 I started to see posts on social media from disgruntled runners who’d entered this race saying that the race has been cancelled because the race director had not sorted out the road closures. 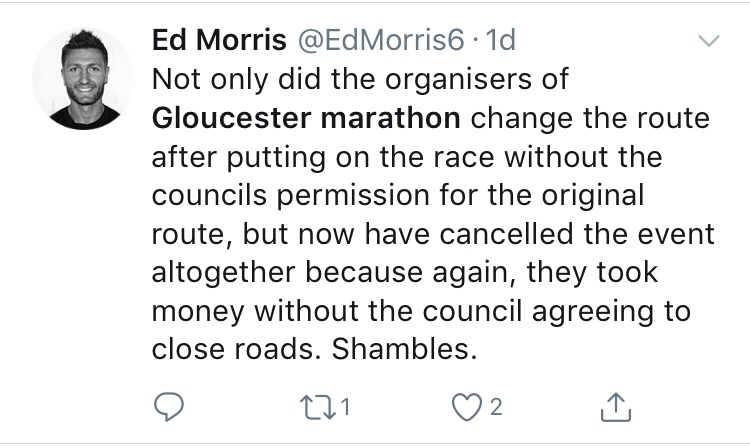 On face value I was in disbelief, surely this would be the first thing a race directors does, because with no road closures there is no race, could this be true? It turned out the rumours were true. Now the company behind this race Trimax Events Ltd with the Company Director Andrew Maxted. Understandably runners were requesting a refund of their £45 race entry fee. I think most runners understand a last second cancellation on safety grounds due to inclement weather, but this was not the case, the race was cancelled 2 months before it was due to happen. This was a case of a a company director who is also an accountant not keeping on top of the paperwork. This is a trait that seems apparent in other areas of his company operations, Trimax events Ltd was incorporated in January 2017 but when I checked companies house today they have submitted no accounts for the 16-17 or 17-18 tax years. One might ask, why an accountant is not submitting accounts? The race website says no refunds, however runners out there are claiming to have screen shots of an earlier version saying full refunds will be given. Have they changed it after they cancelled? I can’t be certain as this is rumour at this time but if it were true that’s not on! 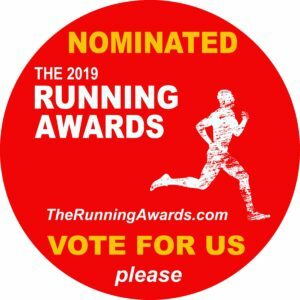 In responses to emails to runners Mr Maxted has apparently said he could only afford to refund 16p per Runner, & that it costs £50K to put the event on. Now let’s do the maths £45 a head x 1,500 entrants = 67.5K so even if the entire £50K race budget was spent, there should be £17.5K left approximately £11.66 per Runner. So why on earth can they only afford 16p a Runner? Where has all the money gone? Well I can only speculate as I do not have access to any of their bank accounts. In replacement they are putting on a multi lap, off road race, in a different location, The Forest of Dean. I imagine this was not part of the original budget so more money has been spent to salvage some type of race. Sadly this is not the race people paid for, it’s not what was advertised & the £45 entry was for the advertised race, not to be spent on an alternative no one asked for, & being forced upon them. Alternatively he says you can defer your place to next year. I can’t blame anyone for voting with their feet on a lack of confidence on this event & not wanting to defer. They just want their money back to spend on another race of their choosing that’s reliable. 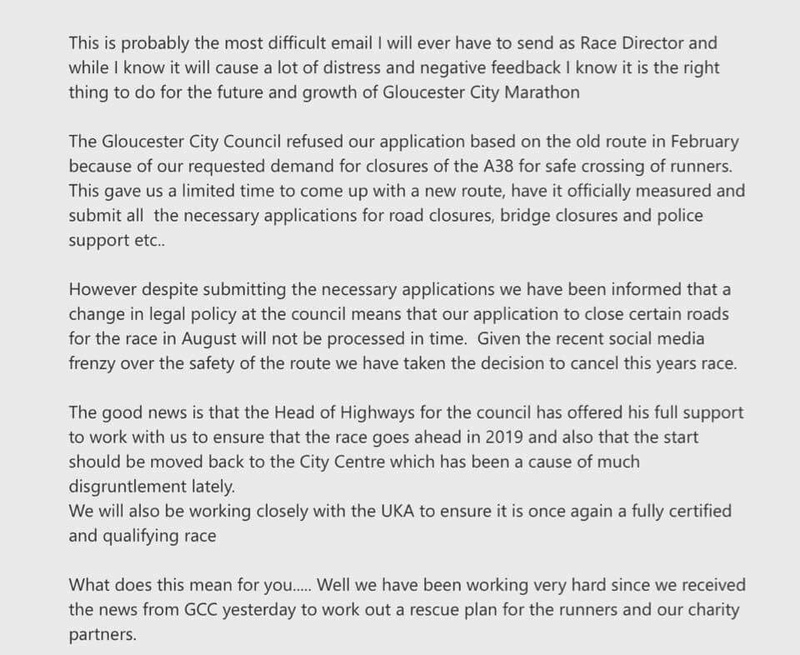 Louise Baldwin from Gloucestershire Live has also covered a story about Mr Maxted sending a ‘Spiteful Reply‘ to one runners request for a refund. Andrew, you’ve screwed up, you haven’t delivered what you promised & what people paid for, you should not be surprised they want their money back so when they ask, don’t be rude about it. You’re the one in the wrong here. Now I’m not a race director & I’m not an insurance guy, but with so much money being handed over in good faith by runners, months in advance of an event on the promise it will go ahead, it cannot be right that a race just cancels due to their own errors, & tells runners tough there’s no coffers in the jar. Surely races need to be insuring themselves so that if this type of thing happens a policy pays out & they’re covered to pay the refunds. I recall only last year Adele had to cancel some concerts & those people got refunds for an event that was now not going ahead. If the music industry can manage this why can’t the Running industry? Now Mr Maxted has said he is speaking to his bank manager on Monday. It’s actually a bank holiday so I’m not sure how that’s going to work, but maybe that was an expression to say he will speak to the bank when they open next. He’s exploring options on how to deal with this I imagine if a certain percentage want to race the alternate route, & a number are happy to defer, there will be a percentage left wanting a refund & the bank might cover this as a loan or similar. However it works I hope runners that want refunds get them. Mr Maxted has mentioned in his replies to runners that refunding everyone would mean going into ‘voluntary liquidation’. I hope that doesn’t happen either but frankly being a race director is a business & in business there is profit & loss. If a company makes a loss it’s not the customers fault, the customer must come first. I’m personally not going to be looking to do the 2019 event even if it does go ahead.